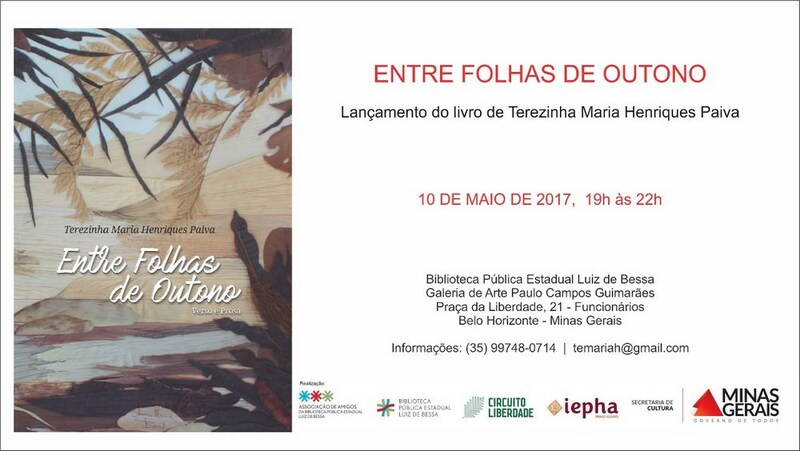 Invitation book launch Between autumn leaves - Poems and Chronicles of Terezinha Maria Henriques P. Disclosure. Mining Writer Launches Third Book. 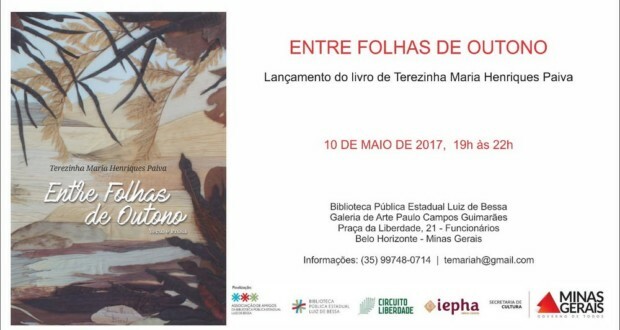 The writer Terezinha Maria Henriques P, born in Juiz de Fora, residing currently at Itanhandu-Sul de Minas, will be releasing the book Between Autumn Leaves – Poems and Chronicles. Local: State Public Library Luiz De Bessa – Freedom Square, 21 – Art Gallery. Date: 10 of May 2017 (on wednesday). Time: From 19 to 22 hours. New work by the author, where does it show the same concern of your soul poet and the look you're looking for what goes beyond appearance-… "But my door remains open and my flights allowed, Whenever my wings can fly ". 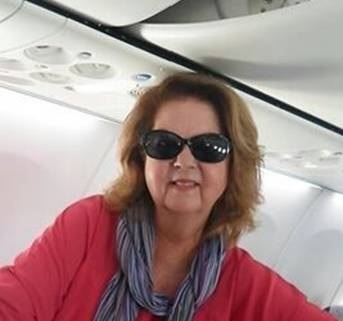 Terezinha Maria Henriques P. Photo: Disclosure. In his poems, the same freedom of expression and in the texts, facts of everyday life narrated in a simple, depicting situations where the reader will often identify-… "I'd rather not tell time… I choose to celebrate life ". "I wanted to be two or three to visit the world… Today, all I have to do is be a/to understand the man. " In his first works, ASPIRATIONS – 1990 and BE NAVIGATOR – 2012 only published poems; Now, BETWEEN AUTUMN LEAVES – 2016, shows your creation by CHRONICLES. This time, had the privilege to complete your work in the mining town of Itanhandu, at the foot of the Mantiqueira and the banks of the Rio Verde.